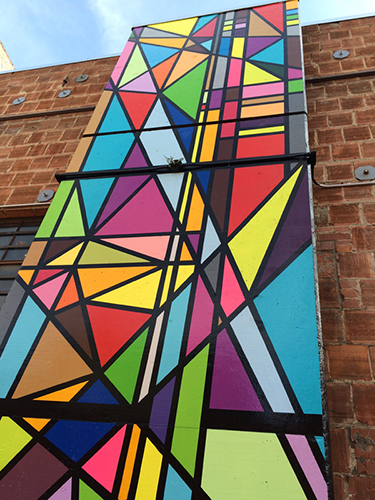 The 20′ x 8′ mural is currently featured on the back patio at Sparks Gallery in downtown San Diego, Ca. The mural was completed in 2014. The Sparks Art Gallery represents contemporary art from professional, emerging, and student artists living in San Diego. Located in the Gaslamp Quarter of downtown San Diego, the Sparks Gallery is housed in the historic Sterling Hardware Building.